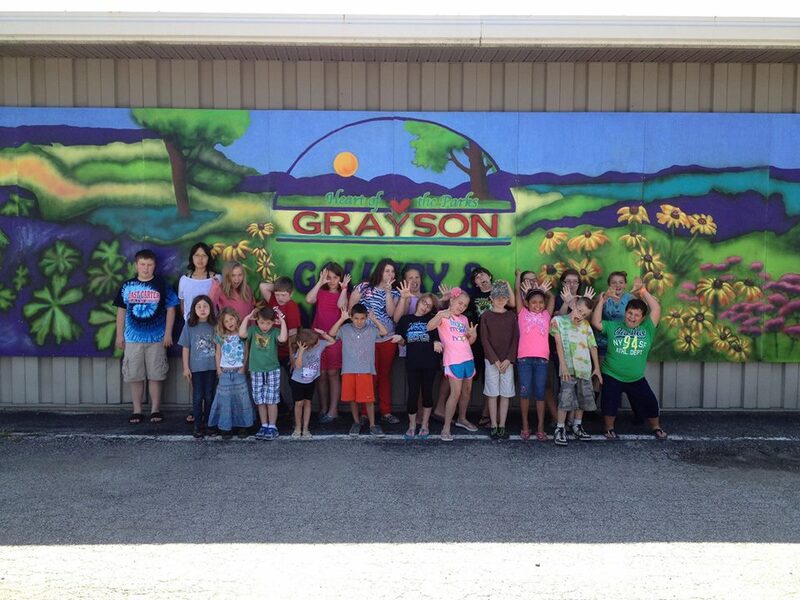 The Grayson Gallery & Art Center, Inc. is a 501c3 non-profit corporation. provided by the Grayson Tourism & Convention Commission. Cherie Caulley, Vice President; Don Combs, Secretary; Mindy Woods-Click, Treasurer. Members are: Gina Browning, Jackie Clevenger, Valerie Everman, Trevor Litteral, Ginger Rose and Robin Wentz. Children from the 2013 GGAC Art & Culture Camp cut up a bit in front of the "Community Paint Mural" by lead artist Christine Kuhn of Lexington!